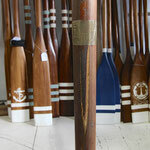 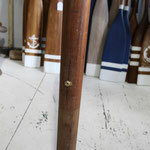 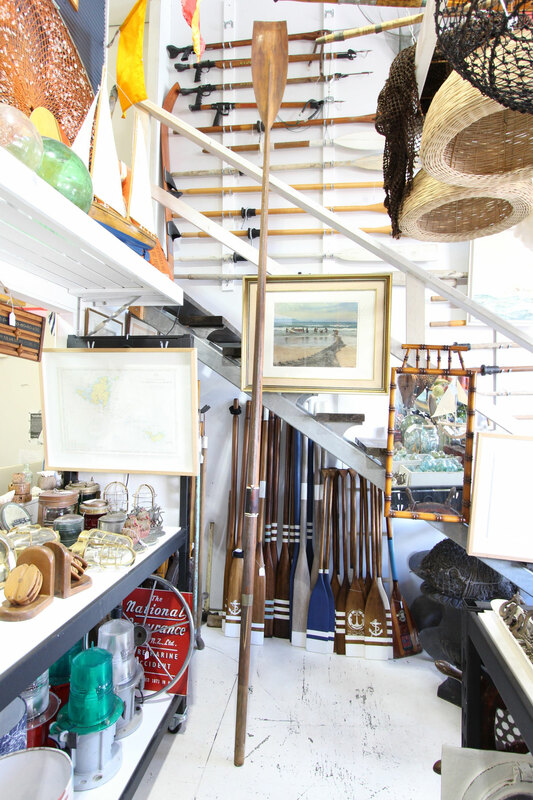 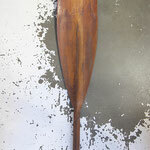 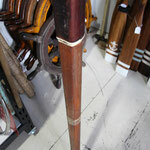 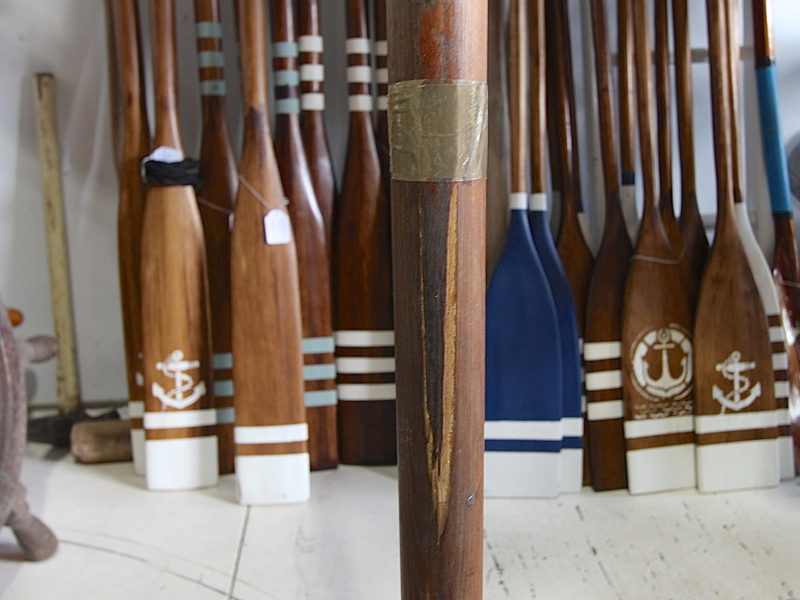 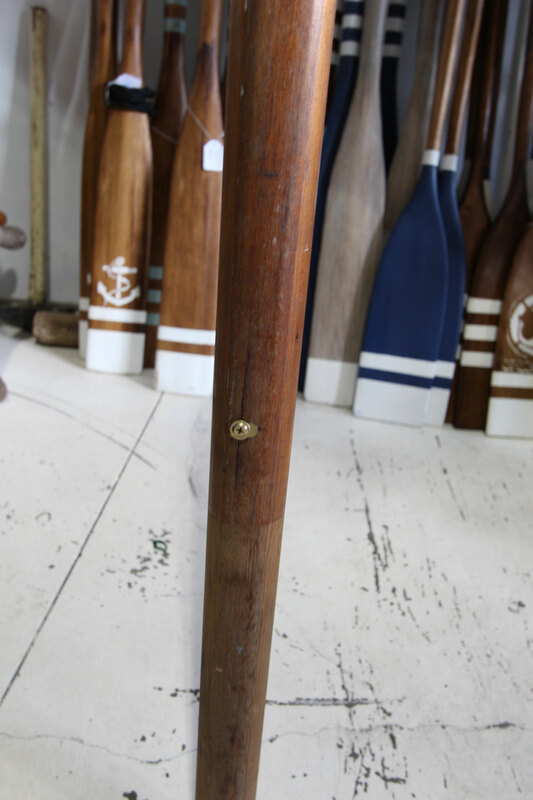 This old rowing oar is made from a beautiful timber. 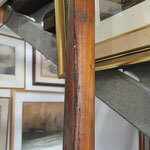 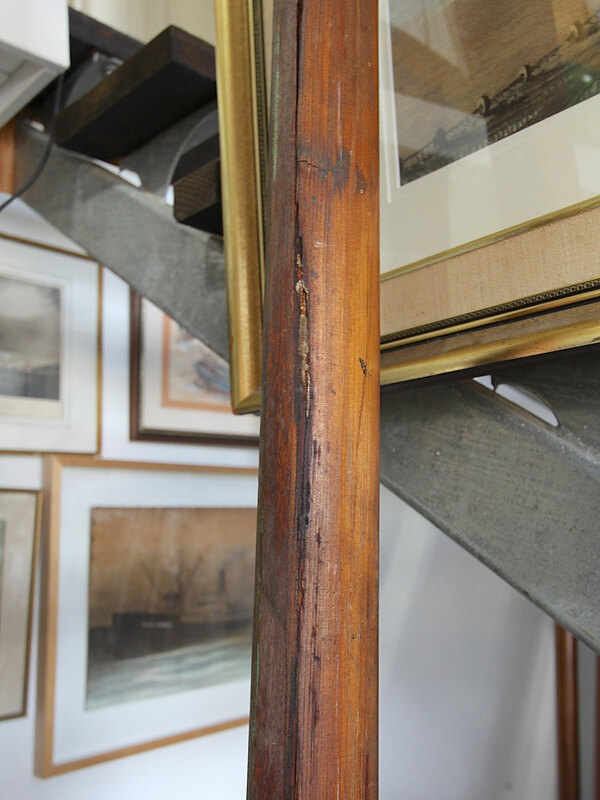 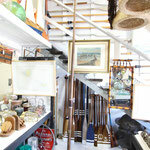 An amazing piece to fit to the wall in a long entrance hall, or hang from the ceiling. 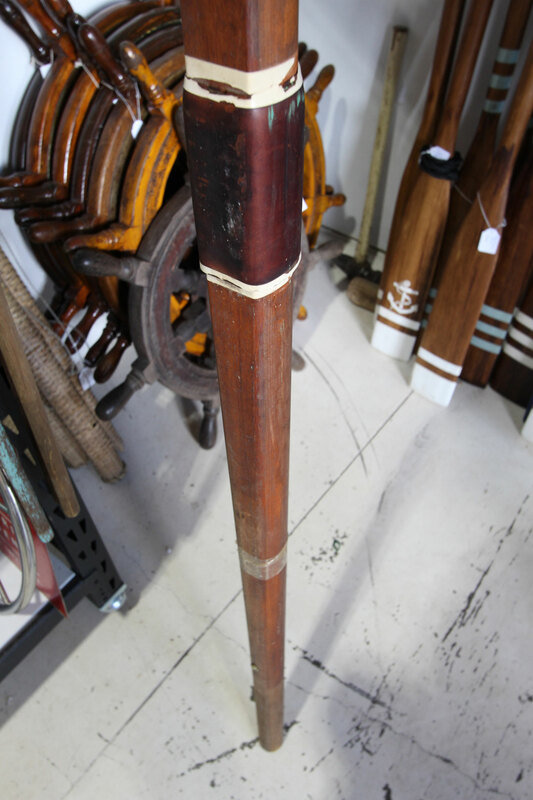 It would look amazing in a warehouse or commercial setting. 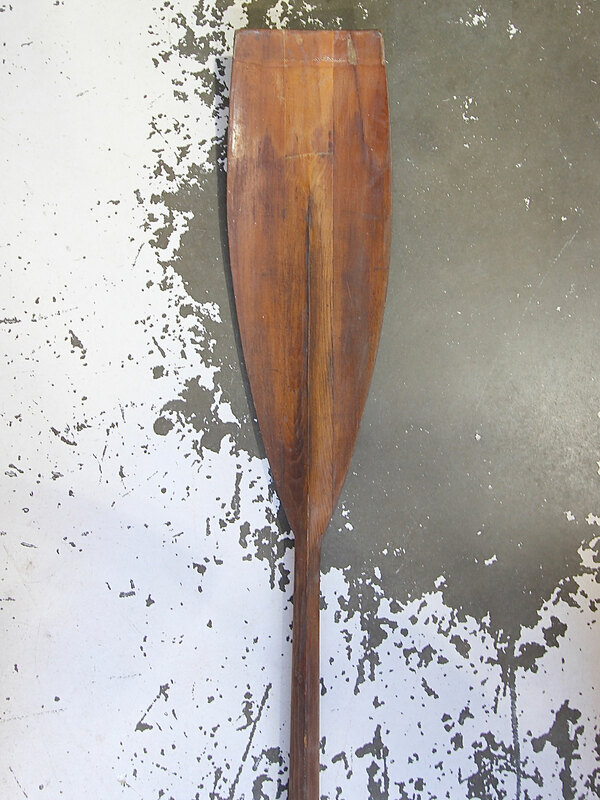 Perhaps on the wall of a waterside restaurant. 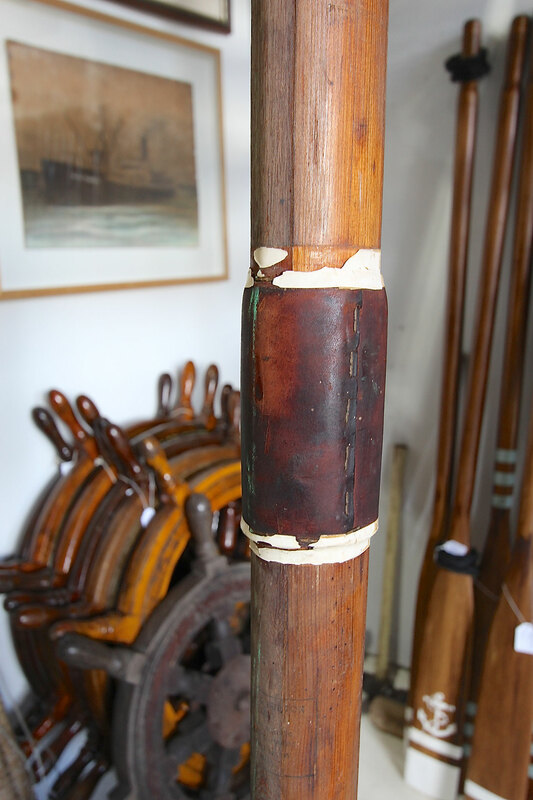 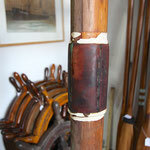 Still with its leather grip, the handle has some wear and tear which we have endeavored to show in the photos.